This is an article containing information on gluten in the brewing process. This is offered as information only. I am not a medical doctor, nor do I know anything about your medical condition. I am not offering you medical advice, nor should you take this as medical advice. If you have celiacs disease or some form of gluten intolerance, follow the advice of your doctor. Gluten is a term for a collection of proteins found in wheat (including spelt), barley and rye. 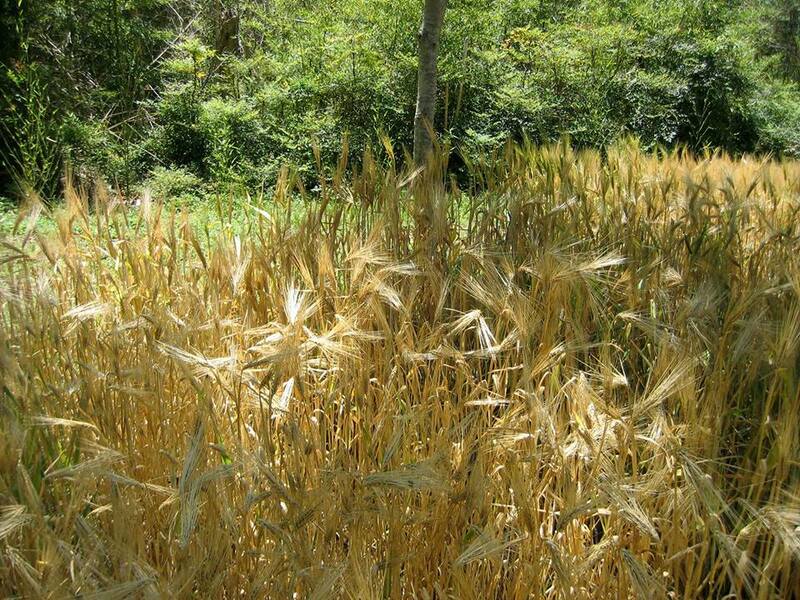 Triticale — a hybrid of wheat and rye — also contains gluten. All grains contain proteins similar to gluten, even “gluten-free” grains. However, the proteins from these grains do not seem to affect people with gluten intolerance. Grains commonly listed as gluten-free include rice, corn, sorghum, quinoa, millet, buckwheat, teff and amaranth. Oats are gluten-free, but are frequently processed in facilities (silos, mills) that also handle barley or wheat, so they are frequently cross-contaminated with gluten. 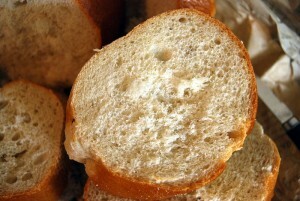 In wheat, gluten is composed of glutenin and gliadins. Glutenin is responsible for 47% of the protein content of wheat, which is usually around 14% of the dry weight. In barley, gluten is composed of hordein and gliadins. Total protein in most malting barley varieties is 12% or less. (The protein content is higher in feed barlies.) Gliadens are a class of proteins, of which there are three major types. Gliadins are soluble in water, while glutenin and hordein are not. (Hordein is soluble in strongly alkaline solutions.) In wheat, the amount and elasticity of gluten allows rising breads to be made from it. These breads cannot be made from the other gluten-containing grains, barley and rye, nor gluten-free grains. Robust barley, growing in my side yard. As barley is the most abundant grain in most beers, let’s look at the fate of barley gluten from farm to fermenter. Hordein and barley gliadens are found interspersed with the starch in a barley kernel. These proteins are storage proteins and their percentage increases as the overall protein content of the grain increases. In fact, the percentage of hordein increases more quickly than that of other proteins (such as albumin) as overall protein levels rise. In malting, protein levels decrease and, as such, so do the levels of hordein. In modern malting, protein modification is one of the major goals as most commercial brewers do not employ a protein rest in their mash regime. Beer made from barley, or wheat and barley, is not gluten-free. Although the gluten content is reduced during malting, mashing and boiling, finished beer still contains protein. The fact that some beers exhibit chill haze is proof of that. And, some percentage of that will be from the soluble gliadens. In addition, even though it’s insoluble, some amount of hordein probably gets carried over into the finished beer. Although not gluten-free, a glass of beer would certainly have less gluten in it than the grains required to brew that beer. A group of Swedish scientists published a study of gluten levels in a variety of European beers and found levels from below 10 mg/L to levels around 50 ppm. Beer brewed with wheat and stronger beers tended to have more gluten while beers brewed with gluten-free adjuncts (in addition to barley) and lower strength beers tended to have less. Beers brewed with gluten-free grains (sorghum) had less than 10 mg/L of gluten. So, if you have celiacs disease or some other form of gluten intolerance, the bad news is that beers brewed from barley — or wheat and barley, or rye and barley— contain gluten. To brew beer that is gluten-free, you would have to use gluten-free ingredients. Possible ingredients include sorghum syrup, rice syrup, brewers corn syrup, apple juice, pear juice, grape juice, honey and pretty much any sugar source that does not come from glutenous cereal grains. Mead, cider, perry, sake and wine can all be made in a gluten-free manner. 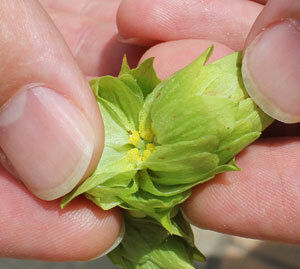 Hops do not contain gluten, so you don’t have to worry about using them in your gluten-free creations. However, liquid yeast is raised in media containing gluten, although Wyeast and White Labs occasionally release gluten-free versions of various yeast strains. Likewise, dried yeast is generally gluten-free (and these days is frequently labelled as such) as dried yeast producers raise their yeast in a molasses-based media. For people with extreme forms of celiac disease, beer brewed with gluten-free ingredients, but brewed on equipment used to brew regular beers, might trigger a reaction. If anyone with celiacs disease visits your house, be very careful serving them any alcoholic beverage (or even soda) made with your beer equipment. Likewise, if you store your gluten-free ingredients near your barley or wheat — and especially if you mill your grain in that area — you can contaminate your gluten-free ingredients. Knight on a White (Labs) Horse? Interestingly, White Labs produces a product called Clarity Ferm that they claim reduces chill haze and renders beers made with barley or wheat to under 20 ppm gluten. They also offer beer testing for gluten levels. Reducing the amount of gluten in a beer would not be difficult. Obviously, if you have wheat malt in the recipe, replacing that with barley malt would be a start. And of course unmalted wheat has even more protein than malted wheat, so get rid of that. Likewise, substituting gluten-free adjuncts (rice, corn, processed sugar, honey) for part of the fermentables would lower the gluten levels by dilution. A hard, rolling boil coagulates proteins, so extending the boil from 60 to 90 minutes might help to a small degree. Likewise, increasing the dosage of protein fining agents (Irish moss, whirlfloc) might also help, but potentially at the expense of foam. Weaker beers, made from less grain, would obviously have correspondingly lower gluten levels. All-grain brewers may think to themselves, what if I perform a protein rest? This might help to a small degree, but these days most protein modification gets done by the maltster and the protein-degrading enzymes in malted barley are mostly destroyed in the kiln. If you used a very lightly-kilned base malt and performed a long protein rest (30 minutes or more), you might reduce gluten levels a bit, but likely at the expense of foam production and retention. If you malt your own grains, you could manipulate your protein levels, but that’s beyond the scope of this article. Also, over-modifying barley malt would likely have some negative brewing consequences. Gluten is in the news frequently these days, both because of legitimate medical conditions associated with it and fad diets that demonize it. An educated brewer can manipulate gluten levels in his (or her) beer or produce fermented beverages from gluten-free ingredients if needed. If you suspect you have a problem with gluten, your first course of action should be to see a doctor. Live to brew in a good health another day. Chris, there is no need to malt gluten free grains yourself. The Colorado Malting Comapny sells malted millet, buckwheat, quinoa, and even crystal malt versions of all of those. Thety also have teff, amaranth, sunflower, rice, and milo. Personally, I think of milo as silage for the cattle, but I’ve would be up for trying a silage beer. They’re one of the more innovative botique malt houses. And, unlike the foolish and ridiculous policies of North Country or Brewer’s Supply, CMC will actually sell direct to homebrew customers. Wow. That’s great. I knew they malted sunflower seeds, as James made a sunflower ale from some, but I didn’t know about what else they produced. I’ve used Clarity-Ferm in the past, to make beers for a friend that was gluten intolerant. She had no ill effects from the Clarity-Ferm beer and the beer had great clarity, too. I did two split batches to see if I could taste a difference between a beer fermented with Clarity-Ferm, compared to the same wort fermented without Clarity-Ferm. In my test batches, I couldn’t taste any discernible difference. Was there a difference in clarity in the split batch experiments? I can’t really recall, since it was over a year ago. My main goal for the split batch experiment was to see if there was a flavor difference between the two. I couldn’t detect any flavor differences and my gluten-intolerant friend didn’t have any problems with the Clarity-Ferm beer. 1. The current assays for gluten are only suitable for intact proteins, not the partially digested hordeins in beer. This means that it is not meaningful for people with celiac disease to try to use the “20 ppm” cutoff to assess the safety of beer. 2. A minor technical clarification: barley hordein proteins are in the “prolamin” family—analogous to the “gliadin” proteins in wheat. Barley also has a separate set of proteins in the “glutelin” family—analogous to wheat “glutenin”. (Yes, confusing). Interesting links. Thanks. I’ll read up on the relationships between the proteins and fix any mistakes the article. I am a homebrewer and a biochemist. Last year, I had a student complete a research project using Clarity Ferm in beers that we then tested with a competitive ELISA for gliadin. One thing we found was that by doubling the amount enzyme recommend for chill-haze reduction we had no detectable epitope (pieces of the barley hordein aka “gliadin fragemnts”). The levels in the beer with the normal dosage had very low levels of “gluten” in some samples. Unlike the new Omission beer – I wouldn’t be comfortable calling this gluten-free. However, I believe that with the exception people with very severe Celiac disease, this should be fine to consume in moderation. By the way – the beers side by side did vary just a bit. As you might expect the mouthfeel was a just little thinner. The taste was pretty close, but there were some subtle differences. Please feel free to contact me directly if you’d like more information. Chris, I’m curious to know what the size of the batch was that you brewed with double the amount of the enzyme – Clarity Ferm. 5 gallons? 10 gallons? As a new home brewer I’ll be experimenting with brewing gluten reduced beers for my wife who is sensitive gluten. No celiacs, just intolerant. I plan on using the Clarity Ferm. Josh, just saw this reply. It’s 4 months late, but I have done several different sized batches. White Labs now sells a 10 mL vial of Clarity Ferm that is “double” the old recommended amount for clarity. If you pitch this in a normal malt beer it should reduce the gliadin (gluten) levels to below detectable amounts. I currently have a wheat beer that we are trying this out in to see how the enzyme works with higher levels of gluten. Sorry I am just replying to your comment on wheat beer treated with Clarity Ferm. I was wondering what the results of that test were? Was it similar to the barley? Did you have to double the concentration or did it matter? I was thinking of doing the same thing, which is why I ask. Hope you get this and its not too late. I have recently been diagnosed with coeliac and decided to try brewing some gluten free beer at home. All seemed to be going well however there wasn’t any action through the airlock so I assumed I’d pitched the yeast in the wort to soon and it had died. So after 2 days I decided to pitch some more yeast. When I removed the lid it also didn’t look like anything was happening. While I had the lid off I thought I’d check the SG, it was 1.050 at the start but was now 1.020. I pitched the new yeast anyhow. Still there has been no sign of activity. Given the change in SG I am wondering if sugars in gluten free beer act differently. Can you or any of your readers help? I used English ale yeast, which was recommended. The fermentables I used were sorghum syrup, black strap molasses, plum jam, spreadable black cherry and prunes.